Since I am getting sick of winter and the polar vortex, I have decided to write about something that will make me happy-the upcoming Super Bowl. This year’s matchup is a rarity in that it will be a meeting between the best offense in the league (the Denver Broncos) and the NFL’s best defense (Seattle Seahawks). This is only the fifth time this has ever happened and so far the defenses have won 3 out of the first 4 times it has happened. This will also be the first time the game will be played outdoors in a cold weather stadium and the weather could play a factor in the game. If the conditions are bad it could hurt Peyton Manning and the Broncos offense as he has historically had some of his worst games in bad weather. Another thing to watch is the Richard Sherman ‘controversy‘. He caused an uproar after the NFC Championship game when he was mocking the 49ers Michael Crabtree. If you don’t care about the game on the field, there is also the halftime show featuring Bruno Mars and the Red Hot Chili Peppers and there should be some awesome commercials. Either way, it will help us forget about the cold!! Hi, my name is Jamir and I’m a sophomore at Taylor Allderdice High School. This summer I volunteered at the Carnegie Library of Pittsburgh – Hazelwood. I’m interested in hanging out with friends and doing group activities like sports and social networking. I play wide receiver for the Allderdice Dragons. The reason why I’m interested in sports is because it keeps me out of trouble and helps keep my grades up in school. Every year many of our programs win the championship from football to lacrosse because of hard work, sportsmanship and great chemistry. So if anyone else is interested in playing any type of sport I recommend Allderdice because all programs are great and hard working. If you are not interested playing a high school sport you can always come to the games to support your team. 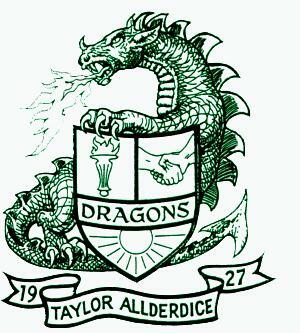 The Allderdice Dragons home games are always at George K. Cupples Stadium on the Southside. The first home game is Friday, September 7th at 7:00 pm! You can check out the game schedule here! Here’s a shout-out to East Liberty, Homewood, Friendship, and Shadyside on Sunday during the Pittsburgh Marathon! I am particular to them because they carried me through all 6.1 miles of my relay leg. Everyone was out enjoying the beautiful weather, cheering us on as we thundered through their neighborhoods in our running shoes and sweat. Music blasting from the street corners, lyrics joining the cheers and encouragement as it pounded through our blood. Even now, a few days later, I am still affected by the support of the neighborhoods, and as spectators they certainly deserve 1st place! Sixteen original sports stories featuring young men and women playing basketball and football, running track and cross- country, and training for the triathlon, as well as participating in water sports, raquetball, tennis, boxing, wrestling, and the ultimate sport of the future.